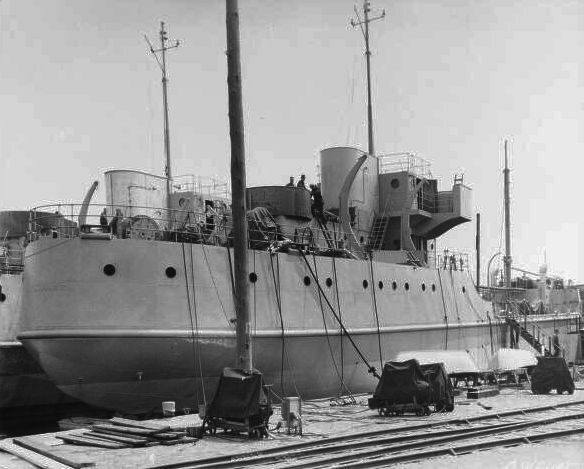 114k Bullwheel (YO-46) at her fitting-out berth at Lake Superior Shipbuilding, shortly after launch, 20 December 1941. 46k Bullwheel (YO-46) completing at Lake Superior Shipbuilding, date unknown. 344k Bullwheel (YO-46) alongside SS Baranof at Kodiak, Alaska, 4 May 1943. 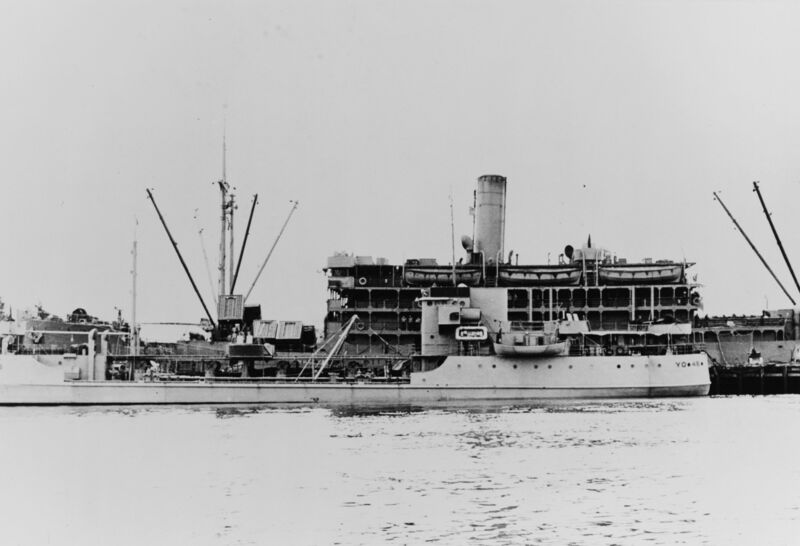 Bullwheel and her three sisters were the basis of the Maritime Commission's design for the Mettawee (AOG-17) and Sakatonchee (AOG-19) classes, which were also initially classified as service craft (YOG). 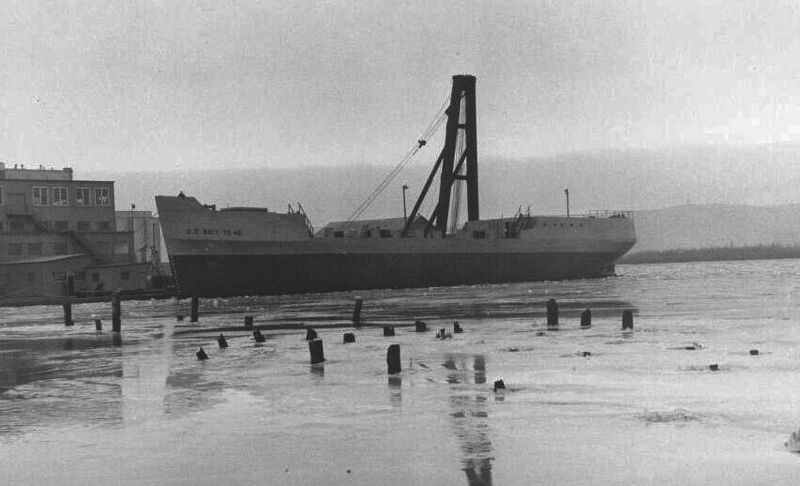 Baranof, a merchant ship under allocation to the Army, was originally a sister to USS Canopus (AS-9). 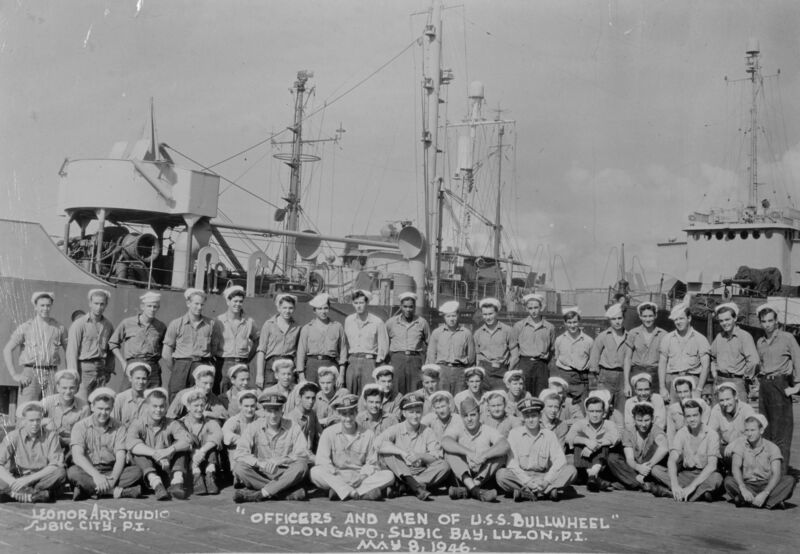 767k Officers and crew of Bullwheel (YO-46) at Olongapo, Subic Bay, PI, 08 May 1946.